Forever Single: When Someone Asks If I Have a Boyfriend. (CBS News) With his little blue polo and a blue backpack to match, Andrew Macias was ready to walk into school on his first day of pre-kindergarten. 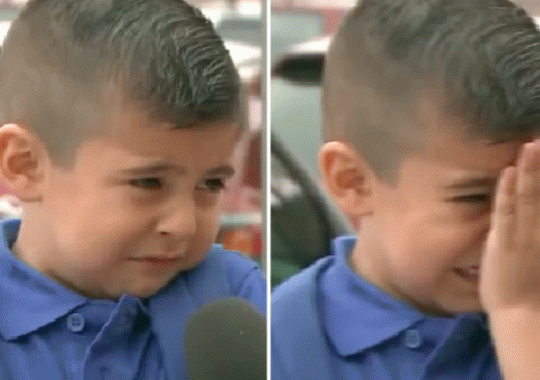 At least, he thought he was -- until a TV reporter stepped in to ask the 4-year-old a tough question on the way. "Are you going to miss your mom?" ​KTLA reporter Courtney Friel asked outside of City Terrace Elementary School on Tuesday morning. The boy gave a nervous shrug, "no." As the reporter giggled at his response, he started to laugh. Seconds later, he burst into tears. Covering his face in-between sobs, his mom could tell his "no" was really a silent "yes." The reporter stepped in, "Aw, don't cry!" The little boy was in tears as he turned away. Millions of people watched the heartbreaking moment on video. KTLA posted a 20-second clip of the exchange on their Facebook page that was shared by nearly 90,000 people. Thousands of people responded, sharing support for the little boy. "We never stop thinking about our moms!" one user responded. Others criticized the reporter for "hurting his feelings." "I can think of better questions to ask a preschooler on the first day of school," another person commented. Don't worry; "seconds later, Andrew's mom gave him a hug off camera," KTLA told viewers on Facebook. 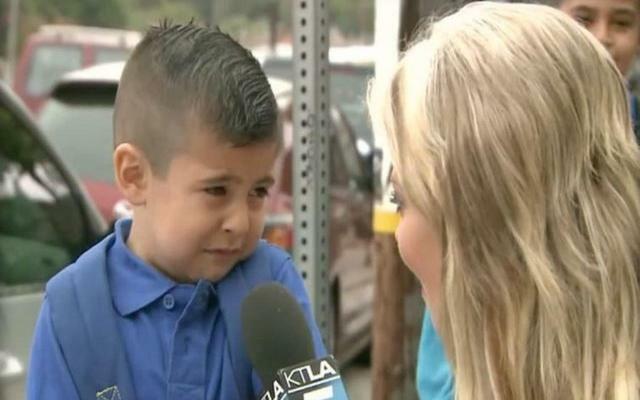 The reporter on the "back to school" beat tweeted that she felt awful for making a "pre-K kid cry." "This breaks my heart and now I'm anxious about sending my kids to school!" Friel also wrote on Instagram, along with the heartbreaking clip. "He was trying to be so brave!"